Before the Audi A5 Cabriolet, there was the Audi A4 Cabriolet. It was a two-door, convertible version of the A4 and it ended production with the B7-generation Audi A4. It was the more sensible, everyday convertible, while the Audi TT was the sporty roadster. 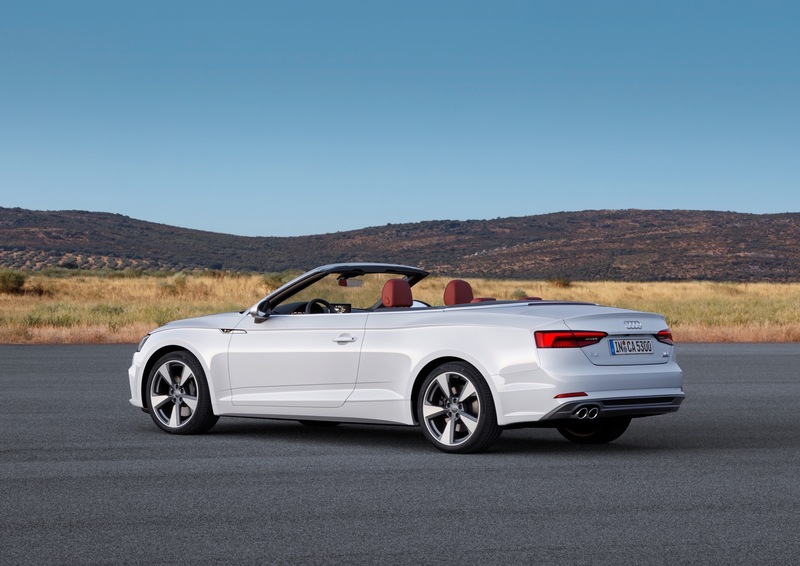 Now, Audi has the TT and the A5 Cabriolet, the latter of which a convertible version of the A5 Coupe. However, due to poor sales of both, it seems that Audi is going to be axing them in favor of another Audi A4 Cabriolet. According to German publication AutoBild, the Audi TT has sold less than 4,000 units last year, while the A5 Cabriolet sold less than 7,000. Those are numbers that Audi is unhappy with and feels that there’s a bit of opportunity to consolidate the lineup. What’s interesting about this upcoming Audi A4 Cabriolet is the fact that it won’t be based on the current Audi A4. The A4 is built on Audi’s new MLB platform, which uses longitudinal engine layouts and is the same one that underpins the Audi Q7, A8 and even the Porsche Panamera, Bentley Bentayga and Lamborghini Urus. However, the new A4 Cabriolet will be built on the brand’s MQB platform, which is what the Audi A3 and new Volkswagen Golf are built on. So the new drop-top A4 will be smaller than the A4 sedan and use a transverse engine layout. While that might be disappointing, as having driven cars on both platforms we can confidently say that MLB is better, it’s for good reason. The idea is to be able to offer a convertible that’s similarly sized to the BMW 4 Series Convertible and Mercedes-Benz C-Class Cabriolet while being significantly cheaper. And considering the fact that most people buying convertibles in this class care very little about handling and chassis dynamics, customers will likely not notice. There isn’t much more info on the upcoming Audi A4 Cabriolet but it will be interesting to see how this develops. A switch in platform and the consolidation of two cars could lead to very interesting results. We wonder how it will play out, though, because the Audi TT Roadster (MQB) is a fun and sporty little car, while the A5 Cabriolet (MLB) is a long-legged grand-touring convertible. So which side is the Audi A4 Cabriolet going to lean more toward? We’ll find out soon enough, I guess.